Maruti Suzuki Baleno RS is the performance variant of the Baleno premium hatchback which was launched last year and gets sold through the brand’s premium dealership network NEXA. The performance variant of the Baleno will hit the Indian market during the festive season later this year; surprisingly it is expected to deliver more fuel efficiency than the normal variant. Maruti Suzuki Baleno RS will come with a 1.0 litre Boosterjet turbocharged petrol engine which is also available under the hood of the export spec Baleno. Incidentally, this is the first turbocharged engine from Maruti Suzuki, and it churns out 111 PS peak power and 160 Nm of peak torque in the export spec Baleno. Expect the Indo Japanese automaker to tune the petrol engine for better fuel efficiency in the Baleno RS, and it might get a five speed manual gearbox. 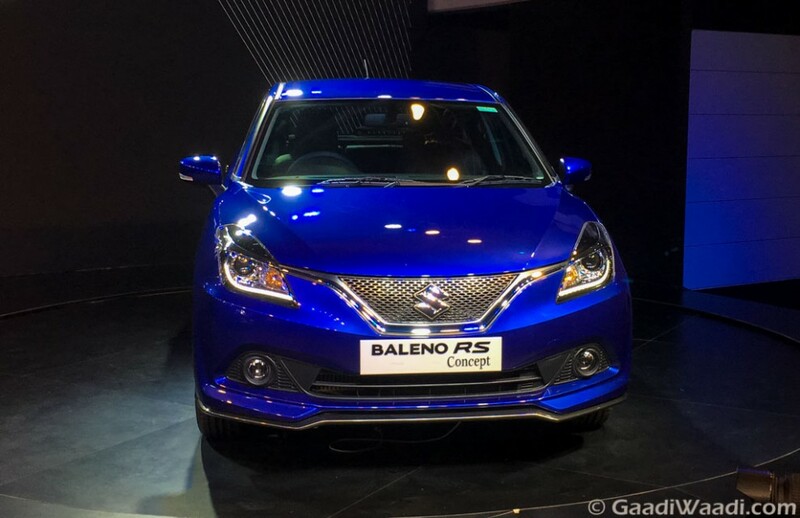 Earlier this year in February Maruti Suzuki showcased the Baleno RS Concept at the Auto Expo 2016, which paved the way for the upcoming performance oriented hatchback. Being a performance variant the Baleno RS hatchback will come with few exterior updates compare to the regular variant. It would sport a mesh grille at the front fascia highlighted with the V shaped chrome line, sporty front bumper with wider air intake, side skirts, completely black themed sporty alloy wheels, roof spoiler and a lower rear bumper as well. In recent times we have seen several automakers like Volkswagen, Fiat launched their hot hatchbacks in Indian market. Maruti Suzuki is eyeing the segment with their first performance oriented hatchback in the country. It will directly take on the Volkswagen Polo GT TSI and the Fiat Punto Abarth. The Volkswagen Polo GT TSI is the most powerful performance hatchback available in Indian market at present, which comes with a turbocharged engine paired with a seven speed DSG transmission. 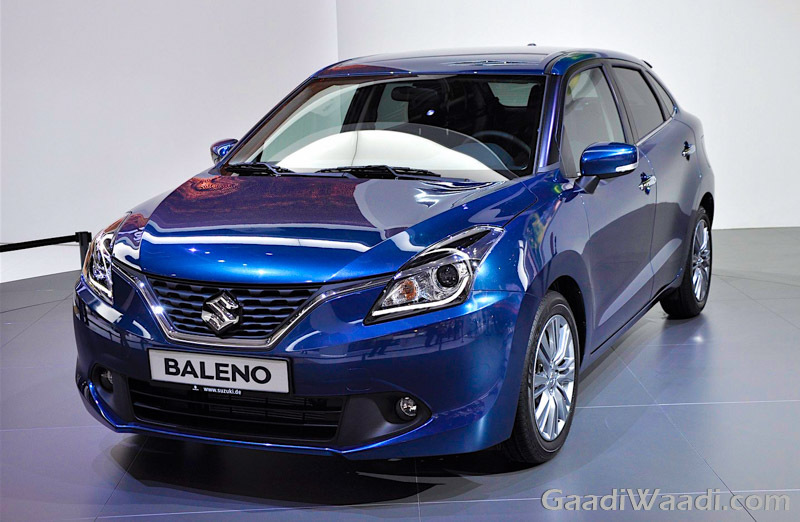 Expect the Baleno RS to be priced at around Rs. 8.5 lakh to Rs. 9 lakh.